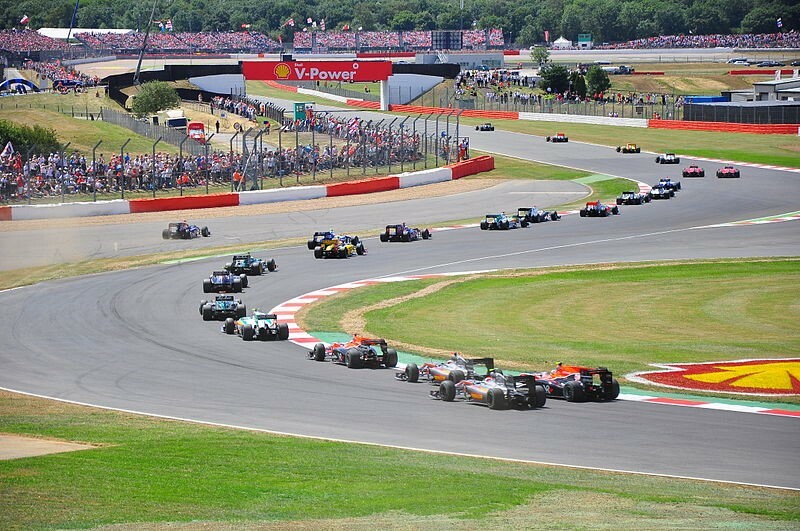 2018 marks the 70th anniversary of the first British Grand Prix to be held at Silverstone. But it wasn’t as glamorous as the F1 events we know today. Previously an RAF airfield used during the Second World War, Silverstone’s three runways can still be identified within the outlines of the track. The Royal Automobile Club (RAC) leased the land from the Air Ministry in 1948, when hay bales and canvas screens were erected to protect the crops and piggery inside the circuit for the event, which attracted 100,000 people.